A lovely contemporary bed, this bed is both attractive and functional. 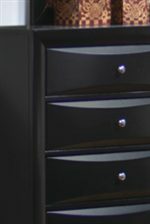 With chambered drawer fronts and chambered trim, this bed is finished in a glossy black color for a modern look. 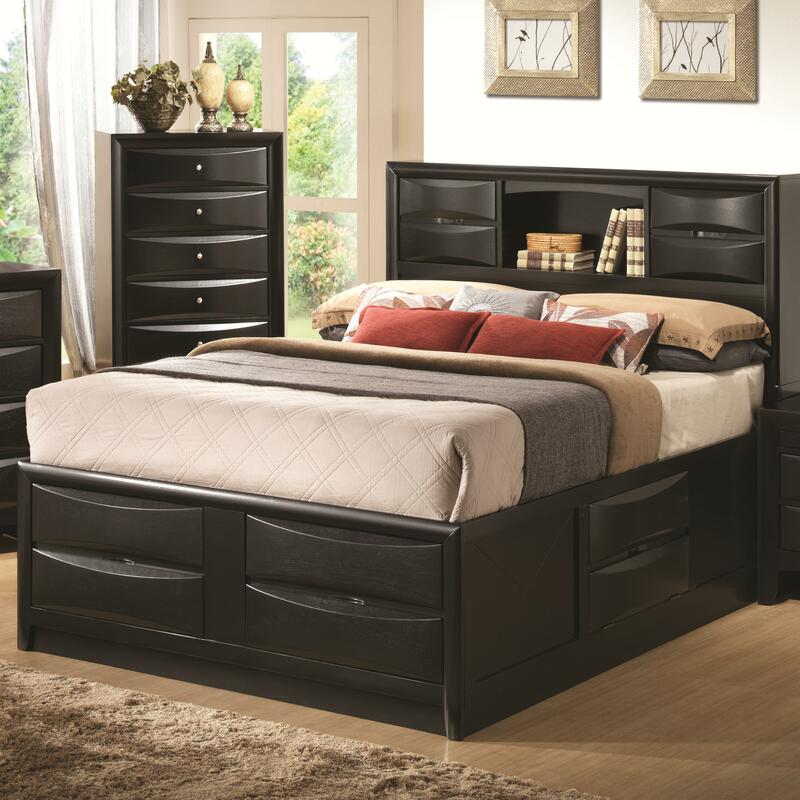 Storage abounds in this bed with drawers in the footboard and a dropdown drawer on each side for storage of blankets, clothes or linens as well as the nifty bookshelf headboard with two sliding cabinet doors. This bed is available in Queen, King, and California King sizes. 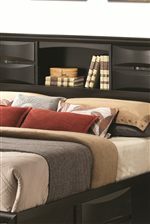 The Briana Queen Contemporary Storage Bed with Bookshelf by Coaster at Michael's Furniture Warehouse in the San Fernando & Los Angeles area. Product availability may vary. Contact us for the most current availability on this product. 202701QB2 Queen Storage Bed Box 2 1 0" 0" 0"
202701QB3 Queen Storage Bed Box 3 1 0" 0" 0"
202701QB1 Queen Storage Bed Box 1 1 0" 0" 0"